Inspired by that initial bit of wisdom, I offer the following life lessons learned from the barrel, a sort of Zen without the hassle of motorcycle maintenance. 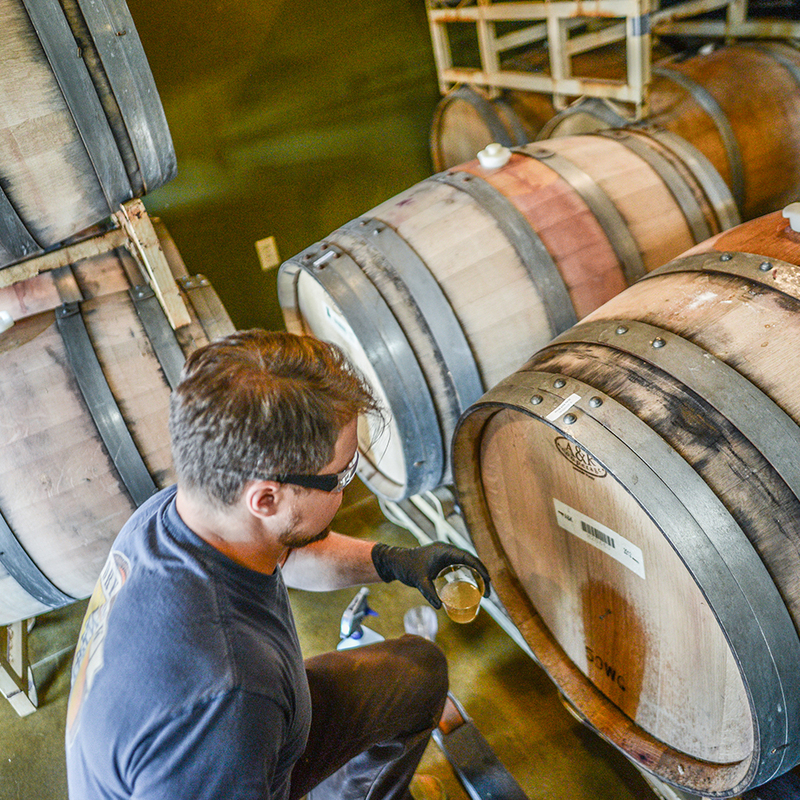 Often brewers age their beer in used barrels that formerly housed wine or spirits. As a result, there may be a natural inclination to rinse or sanitize the barrels to make them “like new.” Brewers resist that urge in many instances, however, especially when dealing with spirits barrels. For one thing, the residual spirits in the barrel can be a great flavor addition to the beer. Some beers are especially well complemented by certain spirit flavors, which is why we see so many imperial stouts aged in bourbon barrels. Additionally, residual spirits help keep the barrel’s interior sanitary. 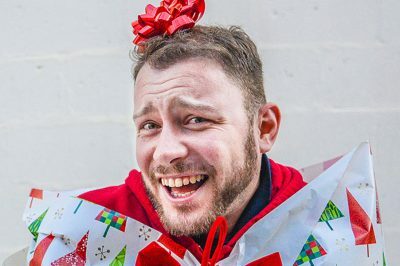 According to Zymurgy Editor in Chief Dave Carpenter, the “nice thing about spirits is that they’re high in alcohol, which means that the barrels they inhabit are more or less devoid of microscopic life forms.” So be sure not to throw out the bourbon with the bathwater, baby. Not all beers are created equal. Some are better suited for barrel aging, some not so much. 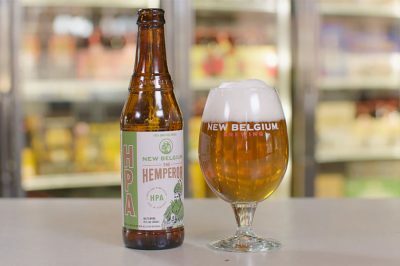 IPAs and other hoppy beers are not usually good candidates for the barrel since barrel aging tends to mute hop flavors. Matt Van Wyk, from Alesong Brewing and Blending (and former brewmaster at Oakshire Brewing), recommends using higher ABV beers and those with higher residual sweetness, since the oak tends to “dry out” flavors. It is also important to consider the barrel itself. Not only will its age and previous contents make a difference, but expect variation even in barrels of the same kind. Rocky Mountain Barrel Company’s Noah Steingraeber compares barrels to fingerprints: expect each one to be unique. That means experimentation is an essential aspect of the barrel aging process. So is failure. You can’t win ‘em all, right? A recent Arby’s commercial describes smoking meat as an “art form that takes years to master,” because “it’s not easy putting brisket into a smoker, closing the door, and checking back 13 hours later.” Now, calling Arby’s sandwiches “art” is a probably an aesthetic faux pas, but the point about patience is important: once the beer is in the barrel, it is important to let the barrel work its magic at its own pace. 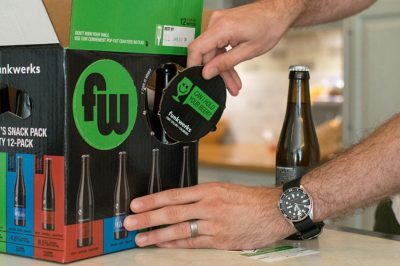 Depending on the barrel size, age, and other factors, some beers can acquire desired flavors in a matter of a few weeks, while others may need a year or more. 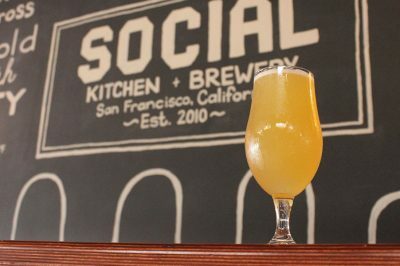 “Time is generally your friend,” according to the guys at Three Brothers Brewing. “Let it age things out and don’t rush it.” So while you follow your nose, don’t forget that good things come to those who wait. One often overlooked feature of great barrel aged beers is the blending process. Outside of a homebrew operation, it is very hard to find a true single barrel beer (New Belgium’s “Love” series is a notable exception). Given the unique character of each barrel, along with factors like where and how they are stored, it would be nearly impossible to achieve flavor consistency without blending. Blending involves much more than simply dumping all the barrels into a tank and stirring, however. Allagash’s Curieux, for example, contains both barrel aged and “fresh” unoaked beer, and Firestone Walker’s Anniversary Series is a blend of five beers aged in new oak, bourbon, and brandy barrels. The importance and difficulty of the blending process cannot be overstated. “Of all the ‘craft’ involved in craft brewing, this is perhaps the most time-consuming and exacting,” according to Allagash. Depending on the desired end product, some barrels may only be used once or twice. Flavors from the barrel decrease significantly after the first use, so don’t expect to get a similar result if you reuse the same barrel. 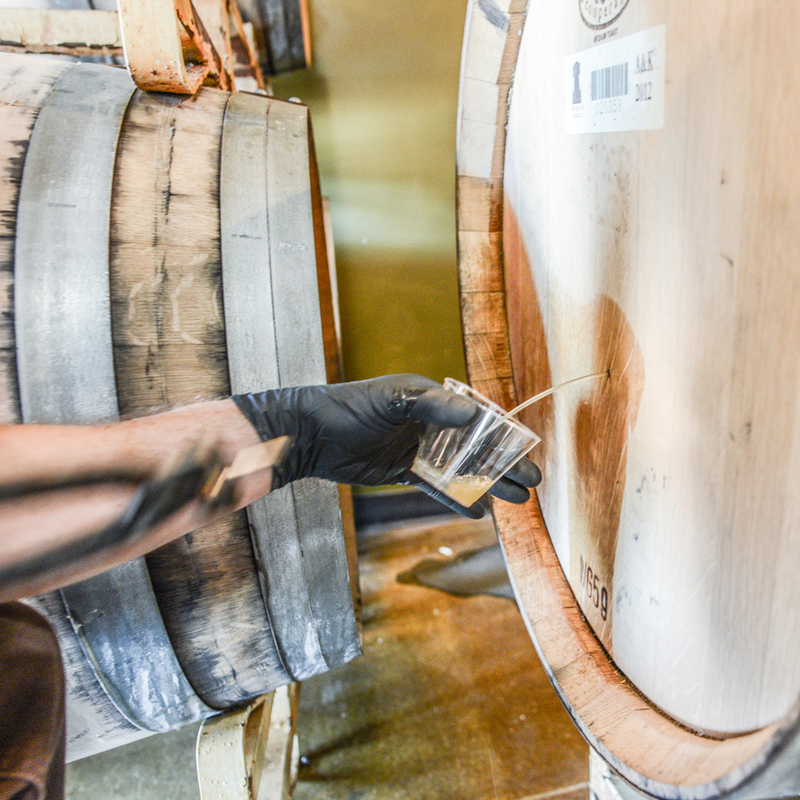 Many brewers will only use spirits barrels once, since that first batch soaks up most of the flavor. In other words, barrels never have a second chance to make a first impression. Creature Comforts co-founder and head brewer David Stein recommends switching up the beer style for second and third use barrels. While imperial stouts are great candidates for first use spirits barrels, he suggests a lighter stout or brown ale for a second use. Third use barrels (and older) can be used for beers that don’t require a boozy spirit flavor (like sours), but may still benefit from the barrel wood and the microflora it contains. Additionally, unlike steel tanks, barrels allow a small amount of oxygen exchange, so they can be especially interesting reservoirs for wild and sour ales. Once a barrel’s aging career is over, it can still be put to good use. 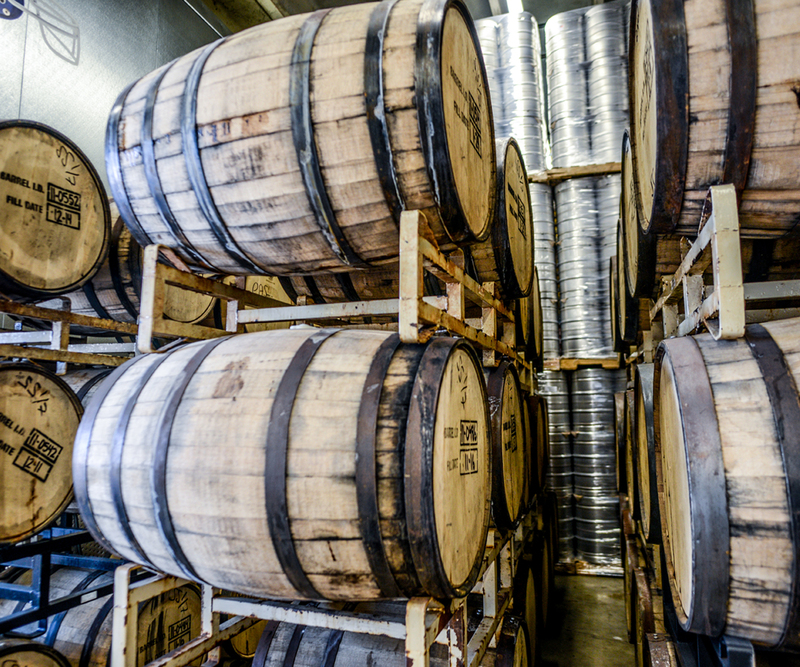 Just as bourbon distillers may send their used barrels to breweries, brewers may sell or donate used barrels to smaller producers and homebrewers. Homebrewers clubs, guilds, and local breweries are great places to turn one man’s trash into another man’s treasure. Barrel wood can also be used to create all sorts of cool stuff including furniture, water features, dog beds and even wine racks (if you’re into that sort of thing). Finally, some companies like Rocky Mountain Barrel Company offer buyback, trade-in and rental options for used barrels. So next time you enjoy a barrel aged brew, take a moment to appreciate the wisdom that beer embodies. Whether you prefer a traditional Belgian gueuze or a boozy imperial stout, just remember: stay crafty, my friends. Jay is the Craft Beer Program Marketing Assistant at the Brewers Association. 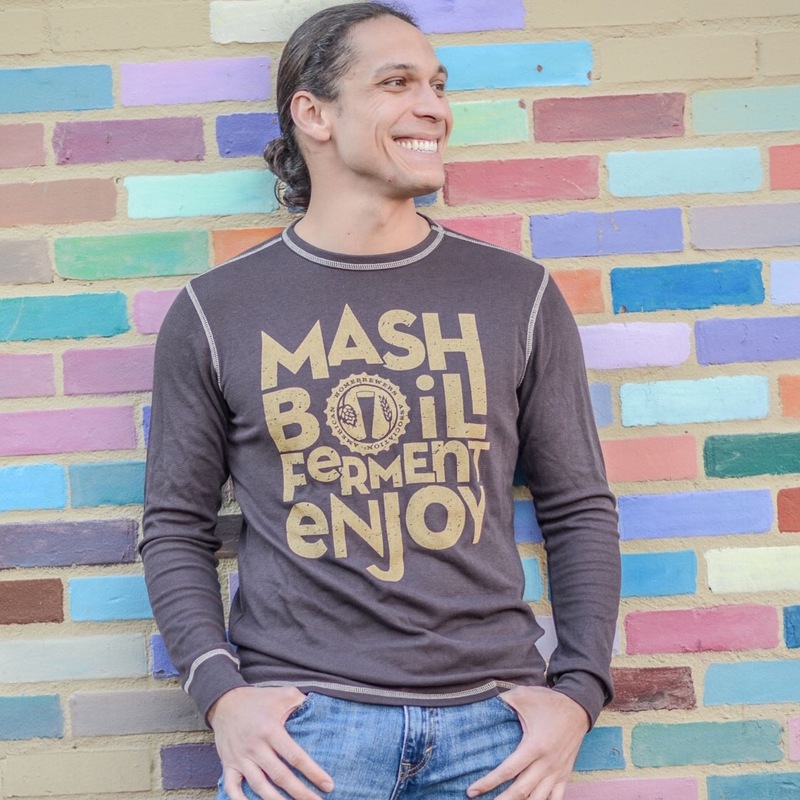 Originally from Georgia, he recently relocated to Colorado in order to get more involved in the craft beer scene. He loves 80’s hair metal, and he doesn’t trust you if you don’t.